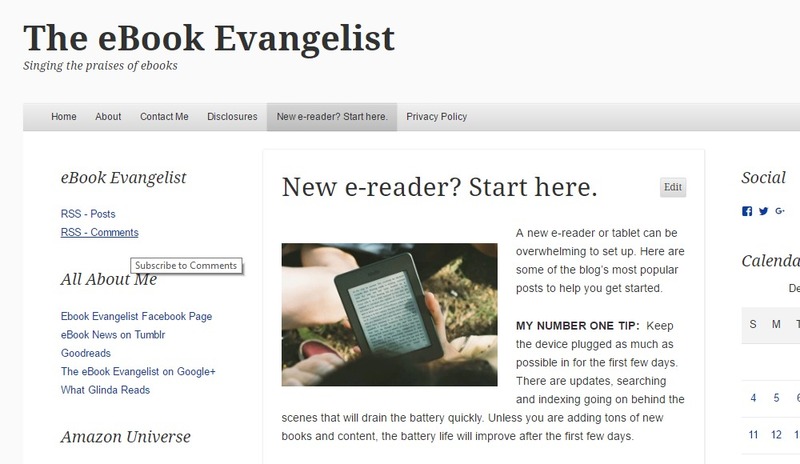 I just added a new page called New e-reader? Start here that has a collection of some of my most popular posts which are helpful if you have just gotten a new e-reader or tablet. The page contains links to articles with tips for new e-readers and tablets, covers and accessories, how to find free content, reviews of subscription services and special benefits and perks for Prime members and Kindle device owners. You can get to the page from the menu bar at the top of the page or by clicking here. The page is a work in progress and I will be continuing to add to it. Have a topic you want to learn more about or something you need to learn how to do? Leave me a comment and I will see if I can help. This entry was posted in eReaders and tagged covers, new e-reader, Prime reading perks, set up, Subscription. Bookmark the permalink.